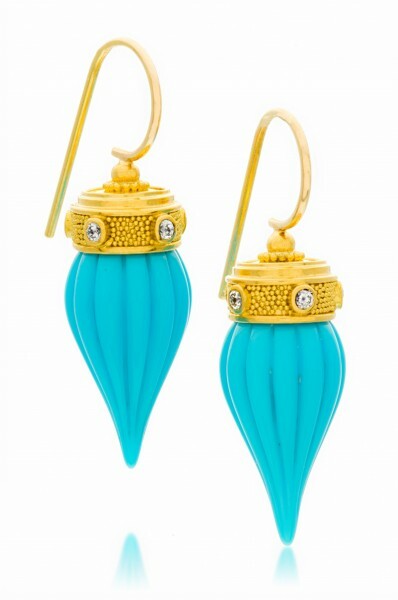 22K gold featuring turquoise drops (10.5 x 24.5mm) from the now closed Sleeping Beauty mine in Arizona. These earrings are adorned with .12 ctw diamonds and have 18K gold ear wires. 1 3/8” height.